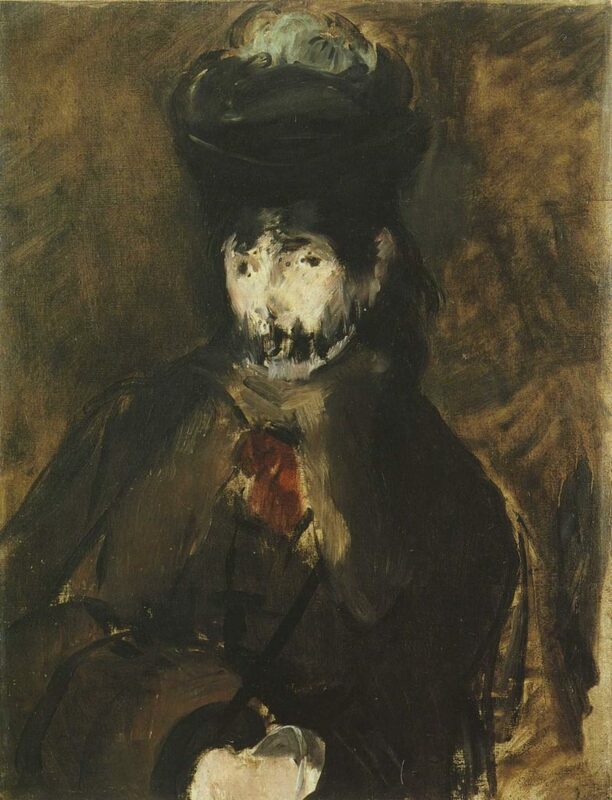 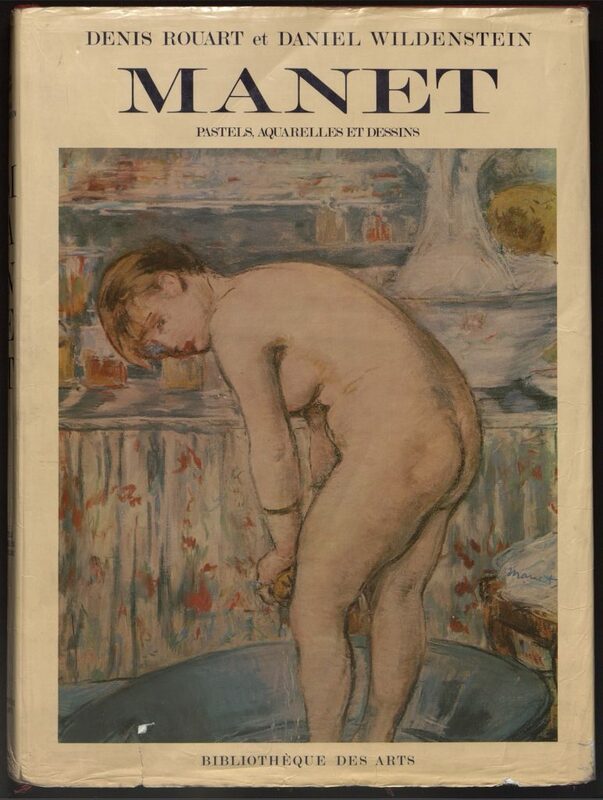 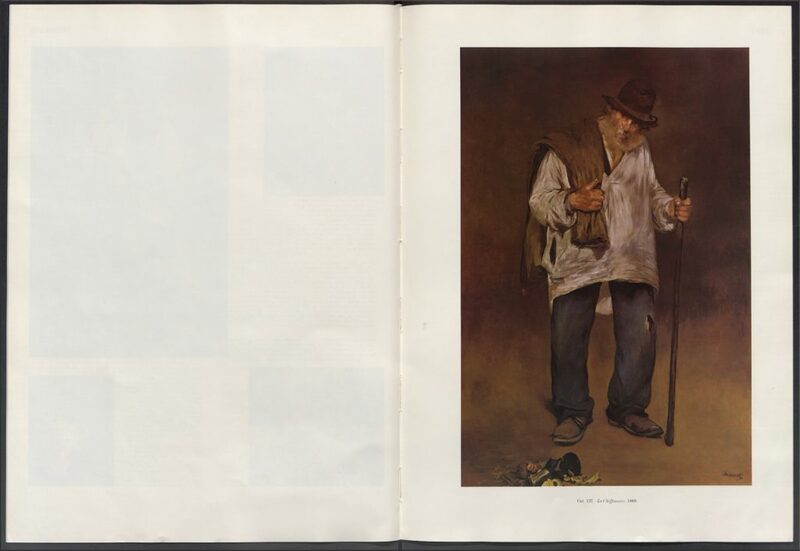 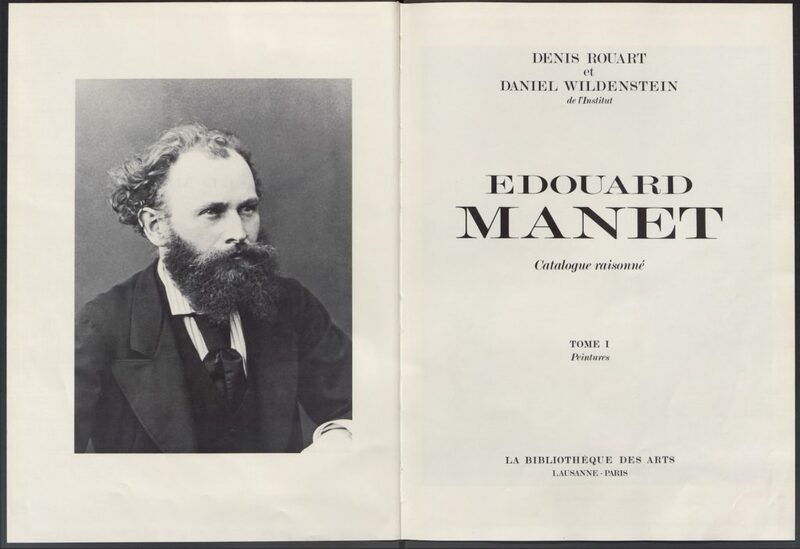 The two-volume catalogue raisonné published under the leadership of Denis Rouart and Daniel Wildenstein in 1975 is an update of Paul Jamot and Georges Wildenstein’s 1932 catalogue critique of the œuvre of Édouard Manet (1832–1883). 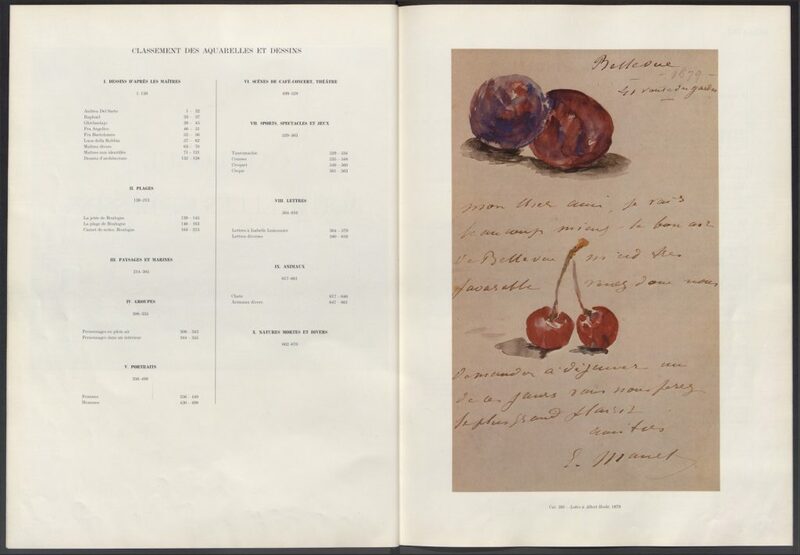 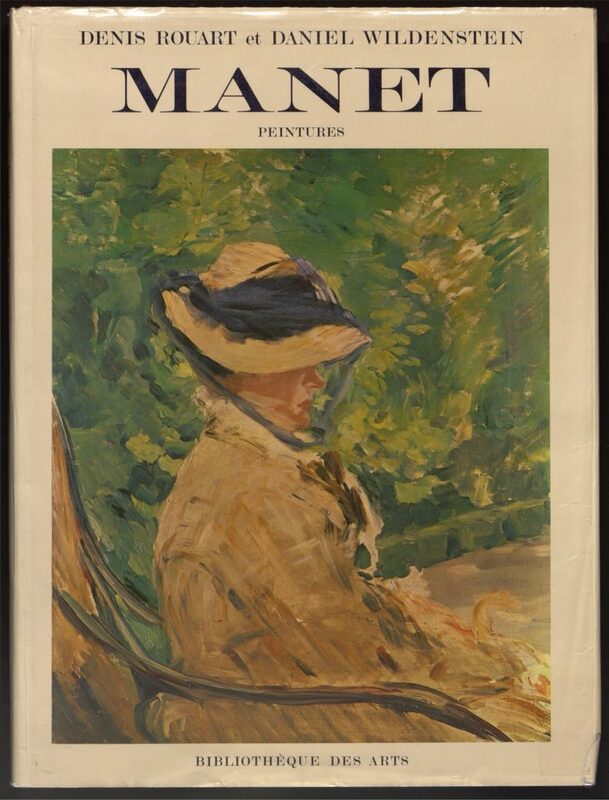 Notices and attributions have been revised, while the first volume catalogues the paintings, and the second inventories Manet’s pastels, watercolors, and drawings. 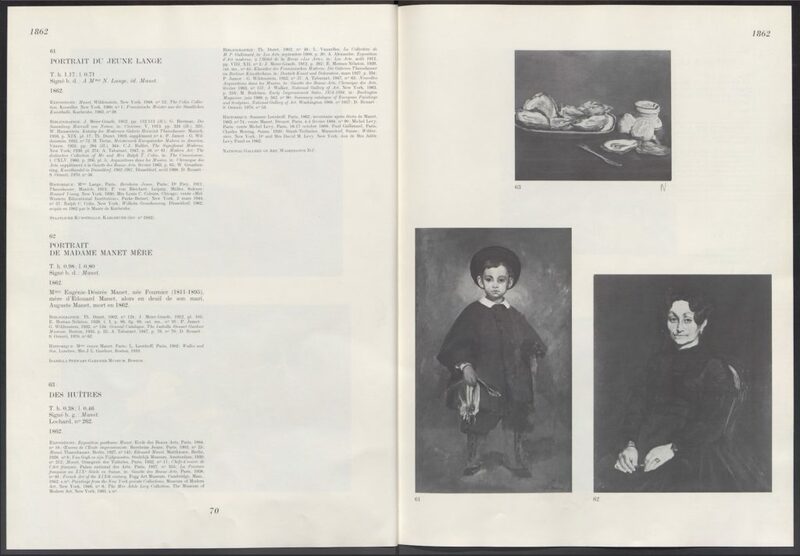 Each work is reproduced and is the object of a critical analysis. 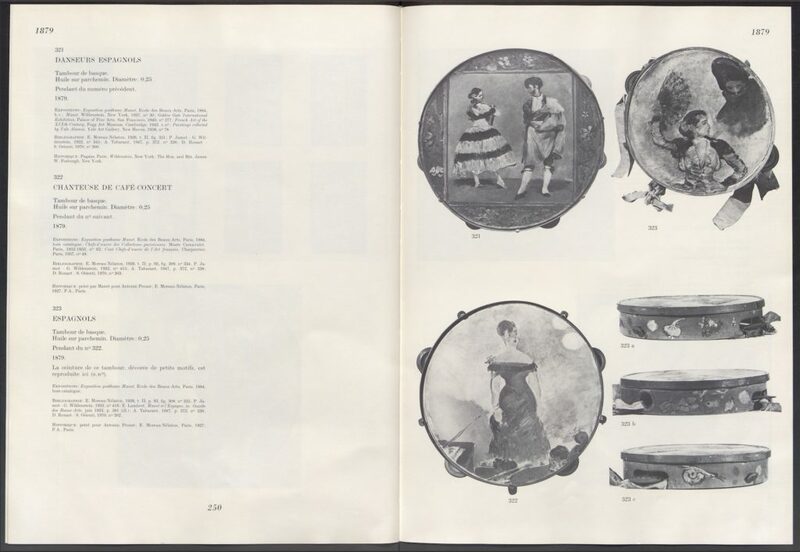 The annex includes a list of exhibitions, bibliography, and indexes. 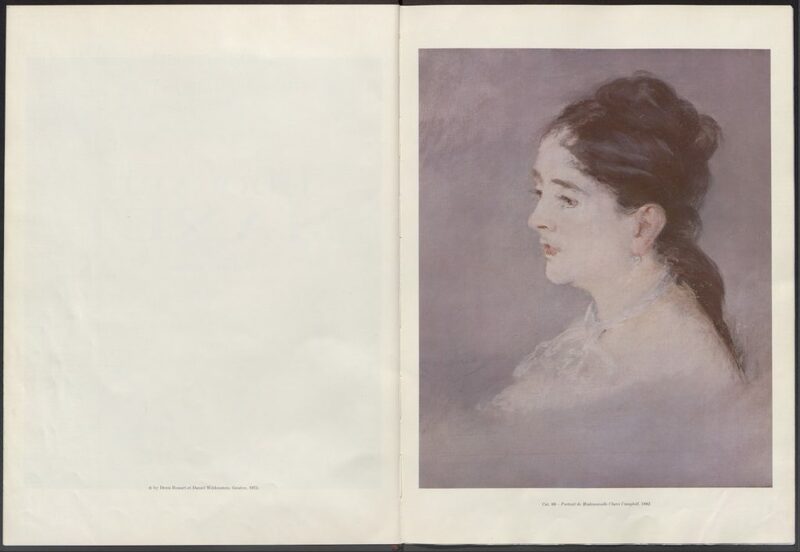 Discoveries: Who is this woman?